CTM Oval Elbow Clearance 7-1/2-9-1/2" PR White -- BasicQ Inc.
Price break, 25 pair. 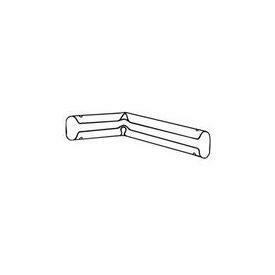 Clearance 6 1/2" Use for returns for wall mount.. Priced by the pair.